The Ornamental Turners International club is a chapter of the American Association of Woodturners (AAW). We are a group of around 200 members from all around the US and Overseas. Our members are of all ages and come from all walks of life. 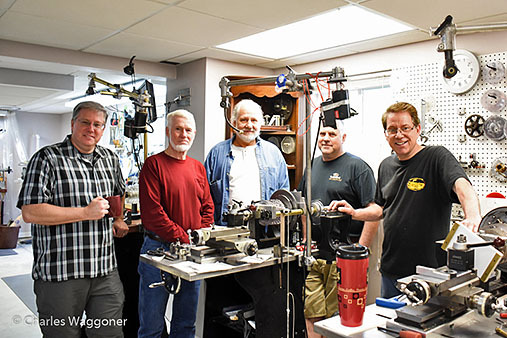 They all share a passion for Ornamental Turning! WE WOULD LOVE TO HAVE YOU JOIN OUR CLUB! Ornamental Turners International's purpose is to foster a wider understanding and appreciation of ornamental turning as a traditional and contemporary craft and form of art among the general public, hobbyist turners, part-time turners, and professional turners. This is accomplished by providing education, information, organization, technical assistance, and publications related to ornamental turning. The OTI meets once every two years at our bi-annual Symposium. However as most of us have a strong passion for OT and would like to meet and work with others that share that same passion, local sub groups of the OTI have been formed. As a member of the OTI, you can join one of these groups. We also encourage you to create a local group in your area if one does not exist! 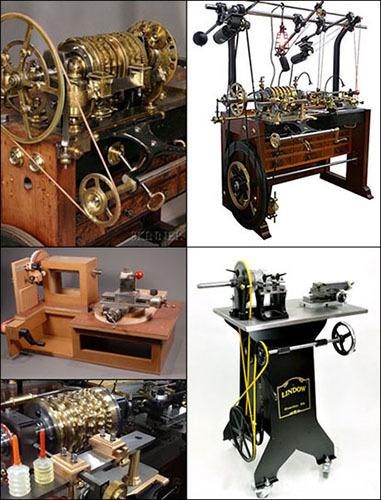 Do I have to own an Ornamental Lathe to join the club? Answer: No, many of the members join because they have an interest. They want to learn more about craft or it's equipment. They may or may not later decide to buy or make some form of Ornamental machine. Do I have to go to the bi-annual symposium to be a member? Answer: No, but the symposium is a direct immersion way to learn a lot about the craft. In addition, it's a great way to meet other members who are into OT. You'll get to meet in person many of the people that you've met on our forum and in emails. Answer: Look over the online Forum or Ask one of our Officers. Registration opens in November 2018. The dues will remain the same $35.00 as they have been in the past several years. Your membership will include up to three people in your family and that can include grandchildren. The decision as to who you name as family members is up to you. As a chapter organization of the American Association of Woodturners, this change brings OTI membership in line with the membership policies of the AAW. You will be the primary member and have full membership and voting rights as outlined in our bylaws. The principal advantage to the family membership is it will allow members of your family to be involved in all OTI activities; e.g., these family members are welcome to all lectures, presentations and demonstrations as well as full access to the gallery exhibits at the symposiums. Far beyond the dues from each and every member, we need your active involvement in the organization. We are actively seeking changes in the website and plan for it to become a very dynamic site with constantly changing pages that reflect the interest of the members. The only way this will be possible is for an active involvement from the membership at large. As a group, you have an extremely diverse skillset. Please make those skills available to your fellow turners. We would like the site to be an inducement to visitors to join OTI and become involved as members. We also want the members to feel the site is theirs to use to expand the wonders of OT work. The organization had some very successful area workshops in the past, so we would like to expand this concept to several workshops around the country in the coming year. This is only possible with a commitment from local members coming together to sponsor and support the workshops. You have two options to pay your dues. You will have the option to pay by credit card, PayPal, or by sending a check. Credit card is the preferred method as it is very secure and you may use any major credit card. You may be assured that the site is very secure and your card information is very well protected. You will receive confirmation messages of your submission of the form and also of receipt of your check. Please do not hesitate to e-mail me or call me at 704-503-3684 if I can be of assistance to you. I'm looking forward to this being a great year for ornamental turning and with your involvement it will only be better. GET INVOLVED!